As chairman of Spencer Stuart, one of the world’s leading executive search consulting firms, Kevin Connelly has both client-facing responsibilities and a firm leadership role. He is the elected representative of the partners, chairs the board and partners’ meetings and is responsible for providing strategic perspective to the firm’s business and finances. Prior to becoming chairman, Connelly managed the firm’s business in the United States, Japan, Canada, and Mexico and had global oversight for the Industrial and Financial Services Practices. Connelly serves on the board of the Children’s Memorial Medical Center of Chicago and is a member of the Economic Club of Chicago and the Executives Club of Chicago. 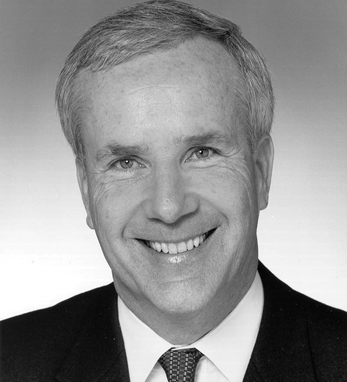 Connelly earned an M.B.A. in 1979 from the Graduate School of Business at the University of Chicago and received a B.A. degree from Marquette University in 1975. A second-generation Irish American on his mother’s side and fourth-generation on his father’s, he traces his maternal Irish roots to Cork and Kerry. His father’s ancestry lies in Galway and Mayo. Connelly is married with two daughters.